"At 8am the next day we were greeted by a large, air conditioned van along with packs of water, food and our tour guide. Immediately we were off to start our day of jungle trekking. To those of you who have never came face to trunk with a real life elephant, it is an experience that can barely be described. These huge creatures were soon to become our favourite part of our entire day. We were given the opportunity to feed the elephants some of our fruit supplies; given our excitement our bananas for the day were soon exhausted." If you wish to explore rich culture, experience breathtaking scenery, encounter wonderful people, then Mondulkiri is the place for you. Mondulkiri has numerous tourist attractions such as waterfalls, indigenous culture, national parks and elephant trekking. 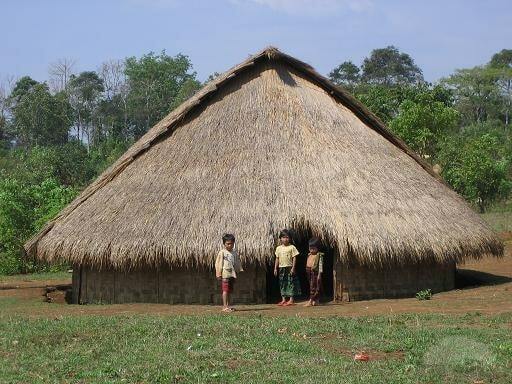 Mondulkiri is the largest province of Cambodia, but the population is low: about 40,000 people are living here. Mondulkiri (it means "Meeting of the Hills") is an eastern province of Cambodia. It is the most sparsely populated province in the country despite being the largest in land area. The capital is the town of Senmonorom. The population lives off the land, planting rice, fruit trees, and a variety of vegetables. Others grow strawberries, coffee, rubber, and cashew nuts. Road development continues to impact seriously on indigenous communities like the Pnong ethnic group. According to a United Nations paper, the construction of a road from Mondulkiri to Ratanakiri has resulted in massive land grabbing. 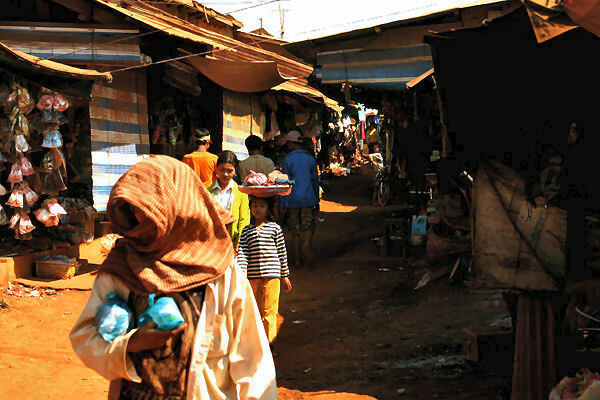 80 percent of the Mondulkiri's population is made up of ten tribal minorities, with the majority if them being Phnong. The remaining 20 percent are Khmer, Chinese and Muslim Cham. 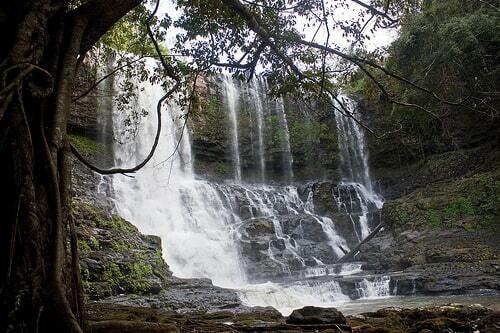 Bou Sra is the largest waterfall, made famous by a popular Khmer song in Mondulkiri. Senmonorom Waterfall. Five kilometers from town and an easy walk, Senmonorom waterfall is not much to look at and used to be a nice picnic spot until the construction of a Japanese built hydro electric power station that cut the flow of water. Romnea Waterfall. Ten kilometers from Senmonorom, Romnea waterfall is actually 1 of 3 large waterfalls that has now been deforested and privatised. The landscape is a seductive mix of pine clumps, grassy hills and windswept valleys that fade beguilingly into forests of jade green and hidden waterfalls. Wild animals, such as bears and tigers, are more numerous here than elsewhere, although chances of seeing them are about as good as winning the lottery. 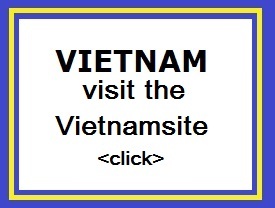 In the dry season the weather is 23-29 �C with sunshine; in summer the temperatures vary between 27 and 31�C. There are endless grassy hills, rivers and jungle. At an average elevation of 800m, it can get quite chilly at night. Although more and more houses are built in 'Khmer style', traditional Phnong houses can still be found. Pnong houses contain large jars (which are said to be more than a thousand years old) and traditional gongs. There are various gongs used at different occasions. Jars and gongs are among the most valuable possessions of indigenous communities both in traditional and spiritual as well as material terms. During the times of Pol Pot those objects were buried in hidden places in the jungle and in many cases they still wait in the ground.